Sekitei Hotel (Ryokan) is located at Izu (Shizuoka prefecture) area. Izu area is famous for rich nature with natural hot mineral springs, beautiful sceneries of Mt. Fuji and the Pacific Ocean. You can experience the colorful beauty of the four seasons such as plum and cherry blossoms, fireflies, fireworks and colored leaves through local events. There are lot of temples / shrines and museums to visit. You also can enjoy excellent Japanese traditional cuisine with local high-quality sea foods. Since Izu area is very popular tourist sites in Japan, there are numerous railways and highways leading there along the Pacific coastline and Izu Peninsula. 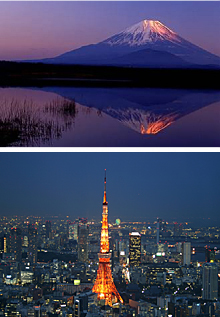 It takes about one hour from major cities such as Tokyo and Nagoya. ·Tokyo Station - Atami Station.About 45minutes. ·Nagoya Station - Atami Station.About 2hour. About 10minutes by taxi from JR Atami Station. ·Tokyo Station - Shuzenji Station.About 2hour 6minutes. About 10minutes by taxi from Shuuzenji Station.